Starting all the way back in 1988, Complete Carpet Cleaning had very humble beginnings. Originally it was just a father and son operation with a van, carpet shampoo gear, and a heck of a drive to succeed. White the area of operations was considerably smaller back then, the company’s growth has never put a strain on the quality of service. Getting your carpet professionally cleaned today will be the same top caliber service that was offered back in 1988. 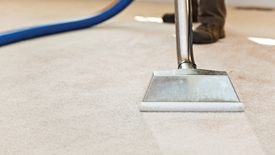 It’s a major point of pride with the techs at Complete Carpet Cleaning. With Complete Carpet Cleaning, you won’t believe how clean the carpeting in your home is going to look and feel. And our professional staff offers a wide variation of services that all come with a complimentary smile. Our pros are experts at cleaning every kind of carpet, from traditional wall to wall types or even Oriental rugs. Shampooing, stain removal, or dusting, we do it all. So call in today to get started. Just calling Complete Carpet Cleaning will get your feet in the right direction. Our experienced staff can even come out to your home and give you an estimate on the spot, absolutely risk free. So call in for a free quote and consultation today.